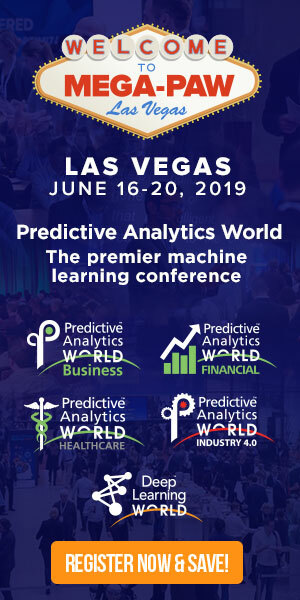 In anticipation of his upcoming conference presentation at Predictive Analytics World for Financial Las Vegas, June 16-20, 2019, we asked Keith Higdon, President at ESIS, a few questions about incorporating predictive analytics into finance. Catch a glimpse of his presentation, Impacting the Claim Process Through Predictive Modeling, and see what’s in store at the PAW Financial conference in Las Vegas. A: Our models focus on claim severity because that is where effective, timely intervention can have the greatest impact. The models measure two key factors. For the first, we use a scale of 0 – 100. Claims with a score closer to 100 have a correspondingly higher likelihood of being the most severe. We also assess the probability that a claim will exceed a specific dollar threshold. Depending on the model and the line of business, the thresholds are $100,000 or $250,000. A: We understand that even the best, most experienced adjuster has not seen every claim for a client or jurisdiction, or every combination of circumstances that can drive the outcome of a claim. Our approach uses predictive analytics to give our adjusters a tool to enhance their knowledge and experience, not replace it. For example, an adjuster can have two claims that on the surface look identical. But if one scores higher than another, especially if one claim scores significantly higher, then there are actions that need to be taken on the higher-scoring claim to address what could happen. Adjusters consider the score and assess any extenuating circumstances and determine the best course of action to strategically guide the claim. Our models also help the adjuster appropriately leverage and focus other resources and expertise throughout the organization. For example, we developed best practices for supervisor intervention on claims flagged by the models. This ensures that supervisors are spending more time on the claims that are likely to have the greatest severity and that will benefit from their added expertise. The models and scores can also trigger round table discussions – for example, in Workers Compensation claims we will bring in our medical programs team – to ensure we have a 360 degree understanding of the claim and can determine the best strategic approach to managing outcome and costs. A: Using the model to identify claims that will benefit from strategic interventions, we have been able to shorten the duration of targeted workers compensation claims by 16%, or 63 days and shorten the duration of auto and general liability claims by 5% or 30 days. A: The power of information in “unstructured” data fields – like text boxes with the details of adjuster discussions or emails with an injured worker – and the value of text mining to find and track that data. For example, one of the variables we’ve identified is the number of times someone reports that they are in pain. A: The key to deriving real benefit from predictive analytics is effective implementation. No matter how strong the math is, if you don’t have buy-in and create a culture that embraces the use of the predictive modeling, it’s not going to do you or your clients any good. 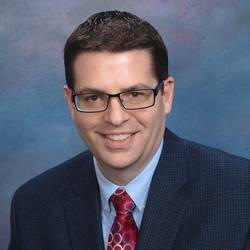 Don’t miss Keith’s presentation, Impacting the Claim Process Through Predictive Modeling, at PAW Financial on Wednesday, June 19, 2019 from 8:55 to 9:35 AM. Click here to register for attendance.